Eco-friendly pencils, soy crayons, smencils, Forest Stewardship Council approved colored pencils, banana paper notebooks, washable markers, recycled paper sketchbooks and journals…Stubby Pencil Studio has eco-back to school supplies for your little ones. I love Stubby Pencil Studio because they have the cutest and most practical eco-art supplies for my kids. Crayons, pencils, markers, notebooks…all necesary school supplies. Some years the teacher and school provide specifics other times we get a list of supplies needed for that class. I haven’t received a list or any school information yet. It would be nice to know what we need before hand. You wait until the week before school and suddenly everything that was on sale for pennies is now three times the amount it originally was. As far as eco-supplies go Stubby Pencil Studiooften has reasonable prices no matter what time of year it is. Sure the items cost a little more than traditional ones but I am not purchasing for the whole school, just two school age kids that need a few things like pencils and markers. A big hit with my kids are Smencils and the Monkey pencils. 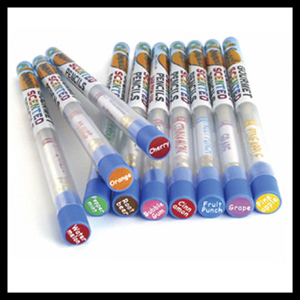 Smencils are fun pencils made from 100% recycled newspaper and soaked in eco-friendly fragrance to give the pencils a fun scent. 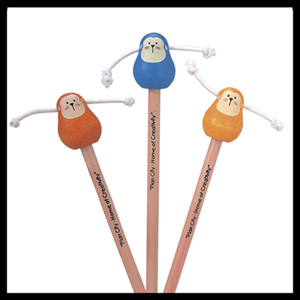 Monkey pencils are made from rubber wood and finished with non-toxic color. I am waiting for my official school list to see exactly what I need to buy, plus I need to take stock of what the kids have. If they have markers and colored pencils that are in good shape they won’t need new ones. I know pencils, pens, and notebooks are always a must so those are on my list. What’s on your back to school shopping list and do you know where to find budget friendly eco-alternatives? Make sure to check out Jamie’s post on sustainable clothing choices and my post about eco-backpacksfor other back to school eco-options. And be on the lookout for a great back to school giveaway sponsored by TerraCycle. 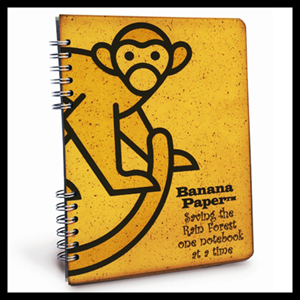 I’m also partial to ecopaper banana paper products ;). http://www.ecopaper.com. It would be good addition to your list. hi, my name is logan and i am doing a sustainablity project for my college class, we are given $200 and we have decided to build a sustainable school kit. i was wondering it you would be interested in sending me or telling me where we can get some of your products to put in our kit. after we persent this project it could be sold for years to come at fanshawe and other schools.